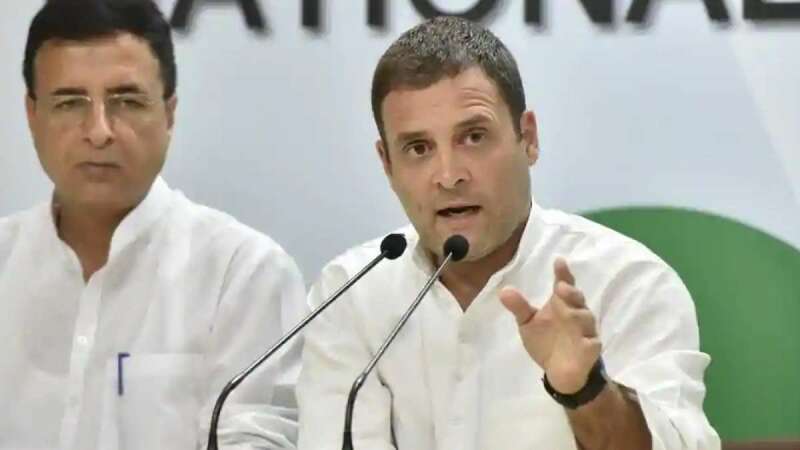 New Delhi : Hitting back at Prime Minister Narendra Modi for ridiculing the proposed grand alliance of opposition parties, Congress President Rahul Gandhi on Sunday asserted the country in the next 100 days will be free of his "tyranny and incompetence". "Your Highness, the cries for help are the cries of millions of unemployed youth; of farmers in distress; of oppressed Dalits and Adivasis; of persecuted minorities; of small businessmen in ruin; begging to be freed from your tyranny & incompetence. "In 100 days they will be free," tweeted Gandhi in response to Modi assertions that the 'mahagathbandhan' (grand alliance) was a grouping of corrupt, negativity and instability. "Today, the entire opposition has come together and is shouting ‘bachao, bachao, bachao'," Modi had said referring to 23 political parties coming together for 'oust Modi' campaign on Saturday at a mega rally in Kolkata organised by West Bengal Chief Minister and Trinamool Congress supremo Mamata Banerjee.